Celebrity couples may steer clear off all the gossip in the media about them dating someone but once they go public with their relationship status, they go all out. Celebs shower their fans with a regular dose of pictures with their significant others on social media and paint the town red giving us major couple goals. Check out these celebrity couples, who've turned us green with envy by posting their loved-up pictures. Virushka fans go gaga every time pictures of their favorite celebrity couple crawls online. The couple, who tied the knot in a secretive ceremony in Italy on December 11, 2017, is still in a state of nuptial bliss. Virat took to Instagram to share a selfie with wonderful wife Anushka with the caption, "Meal with the bestest! 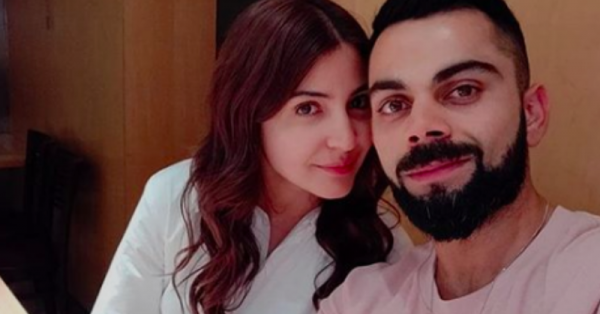 ♥️♥️♥️" Anushka is seen clad in a white top while Virat sports a baby pink tee. Aren't they the cutest? Sonam and handsome hubby Anand are enjoying life to the hilt since their courtship. Their pictures not only give us major relationship goals but also vacation goals. Sonam's feed is full her clicks with Anand with picturesque backdrops. And recently, she took to her Instagram feed to share another picture that will make your jaw drop. She shared a monochrome click with beau Anand. Sonam is seen wearing a saree while Anand looks suave in a tuxedo. The couple teases you with an almost kiss. They sure are one of the most compatible couples in B-town. Cool Cap Dhoni's Instagram feed is full of pictures and videos of his darling daughter Ziva but that doesn't mean he loves his beautiful wife Sakshi any less. An adorable picture of this duo surfaced online and we're in awe. The picture is from last night where the two pose all dolled up for industrialist Praful Patel's daughter Poonam's sangeet ceremony. They look amazing as they twin in cream and gold. We bet you're drooling!